Orthodontic treatments have improved leaps and bounds over the years with a wave of new products and technologies helping people achieve improved smile functionality and aesthetics with less hassle and over a shorter timeframe than days past. The stigma that once applied to braces and other orthodontic appliances has been erased by high-end aesthetic appliances and treatment modalities that make it easier for people to adapt to orthodontia. There are various orthodontic treatment options today, but which option is right for you? In this feature, we are looking at traditional wire and bracket dental braces vs Invisalign clear aligners. Traditional dental braces are used to correct teeth affected by crowding, protrusions, alignment issues, irregular spacing and/or crookedness. Over a predetermined time, dental braces adjust the placement of the teeth to create a healthier, more attractive smile. As opposed to alternative orthodontic treatments, dental braces are intended for more serious cases. Braces consist of brackets and arch wires placed across the teeth, with elastic ties used to secure them. The brackets can be metal, ceramic, composite or some hybrid combination of materials. (This is far different from the basic materials used in the early days of orthodontics.) Patients can select from a variety of color options for their brackets (even gold plated!) and in some cases can even have the brackets attached to the back of the teeth in order to appear less noticeable. (This is because today’s brackets are far smaller than their predecessors.) Brackets are attached to the teeth via cement, which is hardened via high-intensity light. Flexible arch wires attach to the brackets and apply constant pressure which helps to reposition the teeth based on the treatment plan. Today’s arch wires are more advanced, meaning that repositioning requires less time and patients experience less discomfort. Replaceable elastic bands connect the wires to the cemented brackets. The placement of brackets and arch wires typically takes between 10 to 20 minutes. Regular appointments are needed to replace the elastic bands, with adjustment appointments required every three to 10 weeks. (It takes a minimum of three weeks to realize any tooth movement.) Patients will experience tightness and mild discomfort after adjustments. 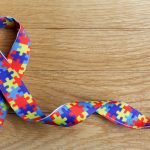 The duration of treatment varies from case to case, with some cases requiring less than six to eight months, and others requiring two or more years. Typically, a dental retaineris required after braces removal for a period to be determined by your orthodontist. 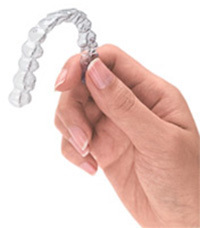 Invisalign is a popular brand of clear aligner and alternative to traditional dental braces. Conditions that can be treated using Invisalign include overly crowded teeth, widely spaced teeth, overbite, crossbite, mild relapse (after traditional braces treatment) and simple bite irregularities. What attracts many people to an Invisalign option is the attractiveness of the device itself. Dubbed “invisible braces,” clear aligners (also called clear braces) are computer-manufactured plastic appliances that straighten the teeth without compromising smile aesthetics. Invisalign is removable (though your dentist will suggest you minimize removal for optimal treatment performance) and custom-fit to your teeth, meaning it slides comfortably over the surfaces of your teeth. The aligners must be removed in order to eat, drink, brush and floss, though dentists require they be in place a minimum of 20 hours per day. Invisalign was introduced by Align Technologies in 1999. Less than one millimeter in thickness, the clear aligner offers patients a far less invasive alternative to orthodontic correction. However, it should be noted that Invisalign aligners cannot treat serious orthodontic concerns. During an initial consultation, impressions and photos are taken of the teeth. These are sent to Align’s dental lab where CAD/CAM technology is used to fabricate the aligners. New aligners are fabricated over the course of treatment to continually move the teeth to a desired position. Dentists tend to give patients one or two sets of aligners (top and bottom) during checkup visits that are spaced between four and six weeks apart. The duration of treatment varies, though typically 20 or 30 aligner variations are needed to accommodate most cases. Most adults complete treatment within one year. Dental braces candidates are generally people who need to correct teeth that are crowded, crooked, protruding, out of alignment or have irregular spacing. Children younger than eight typically are not candidates for dental braces because their permanent teeth have not had long enough to develop. It is recommended by the American Dental Association that children receive an orthodontic evaluation around the age of seven so that any problems or developing concerns can be addressed when they are more readily correctable. Although children are most commonly associated with dental braces, adults can also be candidates. In fact, more than 30 percent of all orthodontic patients today are adults. This growth in popularity among adults can in part be attributed to technology advancements and enhanced aesthetics. Another factor used to determine dental braces candidacy is general oral health. If you have underlying dental concerns such as tooth decay, gum disease, etc. you will first need to correct the issues before orthodontics can be considered. Invisalign candidates tend to represent a smaller group than traditional dental braces candidates. This is primarily due to the fact that Invisalign is more limited in terms of treating serious orthodontic cases. Whereas traditional dental braces can treat complex malocclusions, Invisalign might not be an option. However, for simpler orthodontic fixes, Invisalign offers a shorter-duration option called Invisalign Express. This is a less-expensive, abbreviated version of Invisalign. As with traditional wire and bracket braces, general oral health concerns like gum disease and tooth decay must first be managed before treatment can be considered. The only way to determine unequivocally if you are a candidate for traditional dental braces or an Invisalign clear aligner solution is to speak with a dentist or orthodontist to undergo an oral health consultation. The cost of dental braces can fluctuate quite drastically based on the severity of the case and duration of treatment. However, braces cost ranges from $3,000 to $7,000. Some dental insurance planscarry orthodontic coverage which can significantly lower the out-of-pocket cost. The cost of Invisalign is comparable to the cost of dental braces, with a national average ranging from $3,000 to $5,000. As with traditional braces, this does not factor in restorative treatments that may be required prior to Invisalign. Dental insurance may also cover Invisalign treatment depending on the type of orthodontic coverage you have. 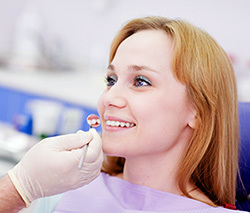 Consumer Guide to Dentistry recommends speaking with a dentist for a complete and thorough evaluation of your unique considerations.